Flood Damage is an application that allows you to record damage to your house or business in readiness to make a claim against your insurance company. 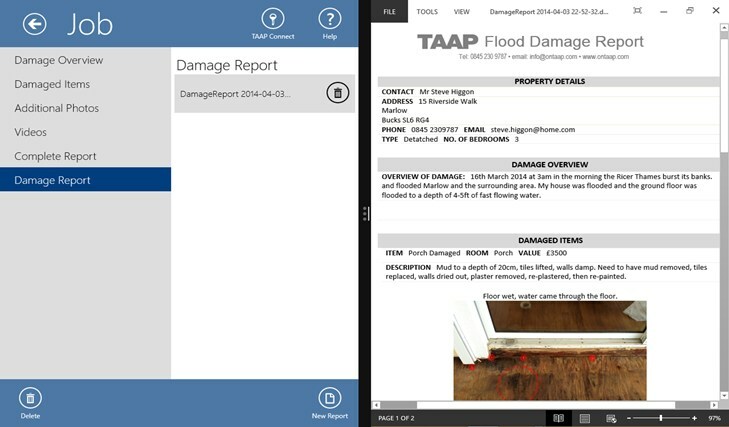 The app is designed to help you document all damage on a room by room or area by area basis. You can write up a description of the damage, estimated cost to repair, and provide multiple supporting photos. The photos you capture can be annotated with spot markers or line drawings to make the damage recorded more clearly obvious to anybody reviewing your claim. When ready you can generate a Microsoft Word document which you can send to you insurer or broker to help with the process progressing your claim.